Listen to "003 Barter for Life and Death" on Spreaker. 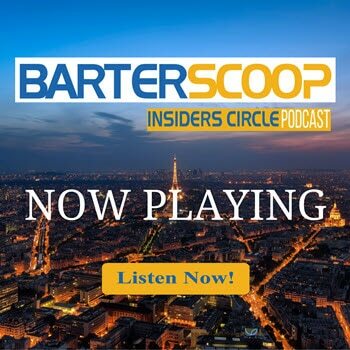 In this episode we’re interviewing Tom Shanklin a 50-year veteran of the barter industry. Tom has bartered for the birth of his son to the burial of his friend’s grandmother. He’s owned three trade exchanges and has used barter to negotiate his way out of debt. How bartering will help you tap into your creativity and improve your business and personal life. What's the Best Barter Exchange to Join?